Over-training has become a serious issue in our school. It is important to recognise it and to know what to do when it occurs. Firstly, it is helpful to understand our working definitions of these terms. Over-training means a practitioner has trained correctly according to how an exercise should be practiced, but the benefit is too powerful for his physical body to bear. In this sense, overtraining is different from wrong training. Wrong training is when a practitioner has not practiced an exercise according to how it should be practiced. Hence, he has no benefit or he has adverse result. Strictly speaking, or to split hair, if a practitioner has no benefit, we can cali it incorrect training. The training is not wrong, but incorrect. Therefore he has no benefit. This is the case of most chi kung practitioners. If a practitioner has adverse result, it is wrong practice. It is not only incorrect, it is wrong. Therefore he has adverse result. This is the case of many kungfu practitioners who sustain internal injury in their sparring. To split hair further, we can refer to over-training as wrong training. But for our purpose here, we shall differentiate the two. The remedy is different. To overcome over-training, we reduce the training. To overcome wrong training, we correct the training. Hence, we have four types of training — correct training, incorrect training, wrong training and over-training. Over-training may result in over-cleansing. The former is the cause, and the latter is the effect. As an analogy, you may earn a lot of money, then you become wealthy. Earning a lot of money is the cause, becoming wealthy is the effect. Over-training may also result in over-building and over-nourishing, but these are not explained here so as not to confuse you. How do you know you have over-trained. One good way is that you experience over-cleansing. Before this happened, you might experience strong benefits. Then you feel tired and sleepy. Sometimes you may feel anxious, fearful or angry. This happens when your negative emotions are flushed out of your body faster than you find tolerable. Sometimes you have rashes, pimples or are smelly. There are a few ways to reduce over-training, which will in turn reduce over-cleansing. Please take note that there may be a time-lapse between the two. Expend your energy in wholesome activities. Stop training for some time. If you train for half an hour a day, reduce it to 15 minutes. If you train everyday, reduce it to once in two days. But as our training time is short, and we enjoy our training, a more useful method is to reduce the intensity of our training. An excellent way to reduce the intensity of training is not to enter deeply into a chi kung state of mind. Please take note that even when we do not want to enter deeply into a chi kung state of mind, because of our habitual training, we will still be in a deep chi kung state of mind compared to most other practitioners. Another way is to focus on your form, or purposely think of your form. This will distract you from your mind level. Spend time on wholesome activities. Go hiking or swimming. Play football or enjoy music. Roll about on the ground and jump about in the sky. 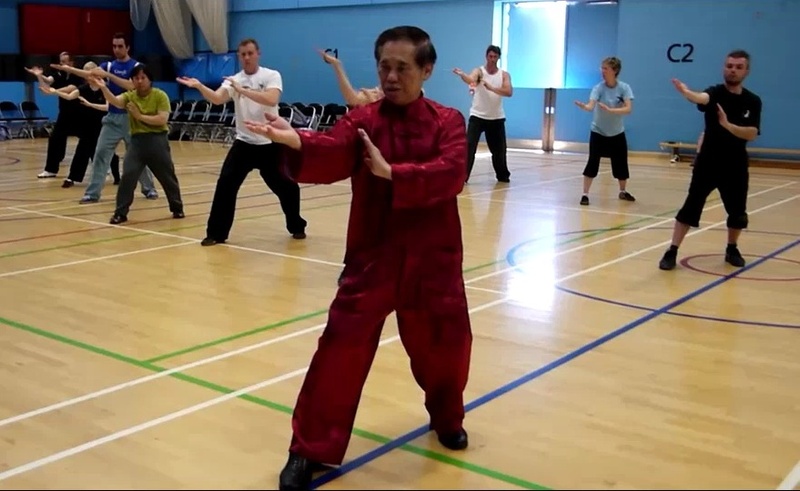 Perform kungfu sets or sequences, focusing on form, not on chi flow, internal force or mind power. If you haven’t got a girlfriend (or boyfriend). get one, and focus on making her happy on a date. Stop training for a few days, or even longer. Use your training session to spend quality time with your parents. Read some good books, like “The Way of the Master”. You may even perform negative actions, like tensing your muscles or intellectualising during your training. But perform some gentle energy flow at the end of the training session to clear out negative effects. It is worthwhile to know that over-training is relative. What is normal correct training to a healthy person, may be over-training to someone who is sick. What is normal correct training to a master may be over-training to a student. It may also not be easy for some of you to realise how effective we have become in our training. The following facts may help you in the realisation. They are facts, not opinions. If a practitioner in another school can generate a chi flow after 6 months, it is good result. (I took more than 17 years.) Students who attended my Intensive Chi Kung Course took less than an hour. Roughly this means our students are about 180 times more effective. If a practitioner in another school can develop internal force after 6 months, it is good result. (I also took more than 17 years, and I was already known as a kungfu genius.) Students who attended my regional courses like 18-Lohan Art and Bone-Marrow Cleansing experienced internal force in a few hours. This means our students were about 180 times effective. Many people outside our school may concede that we are more effective. They may think we are 2 times or even 3 times more effective. Translated into income, if they earn 2000 dollars or euros a month, they think you earn 4000 or 6000. They will not imagine we are 180 times more effective. If it is just 10 times, you will earn 20,000 when they earn 2000. To have an idea of how much one should train so as not to over-train, I have suggested that he can get just 30% of what he got at an intensive or regional course with me. That would be enough for his purpose of overcoming illness or contributing to good health, vitality and longevity. In case you think that 30% is too little, let us work out how much benefit it is. If an average person earns 2000 euros a month, as you are 180 times more efficient, you will earn 38,000 euros. If you get 30% of that, you will earn 11,400 euros a month. Translated into chi kung benefits, if an average person practicing chi kung gets 2000 units of benefit a month, you will get 11,400 units, which is a lot of benefit. This entry was posted in aims and objectives, chi flow, Chi Kung, Chi Kung Healing, chi kung state of mind, Grandmaster Wong Kiew Kit, Intensive Chi Kung Course, Intensive Kung Fu Course, internal force, Kung Fu, over-cleansing, over-training, safety first, Shaolin, Shaolin Wahnam, tai chi chuan, taijiquan and tagged aims and objectives, chi flow, chi kung, Grandmaster Wong Kiew Kit, Intensive Kung Fu Course, internal force, Kung Fu, over-cleansing, over-training, safety first, Shaolin, Shaolin Wahnam, tai chi chuan, taijiquan on February 2, 2016 by Wei Joo Lee. 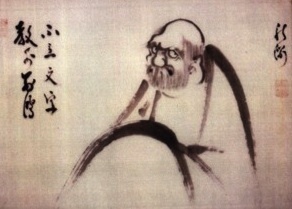 First I would like to again give my most heartfelt thanks to Sigung for the Legacy of Bodhidharma course in 2012. Since then Iron Wire has become my most prized possession. iI has given me health, a strong body, vitality, a strong mind, and courage on one level. On another level it has continually brought my kung fu to new levels. As each of the 12 Bridges manifests in my practice I feel as though I take baby steps closer and closer to realizing what past masters experienced, not to mention Sinew Metamorphosis, and Bone Marrow Cleansing. — just wow! I am very glad of your progress, which is expected as you have been very diligent in your training. What you are making are not “baby steps”, as you modestly reported, but “gigantic steps”. 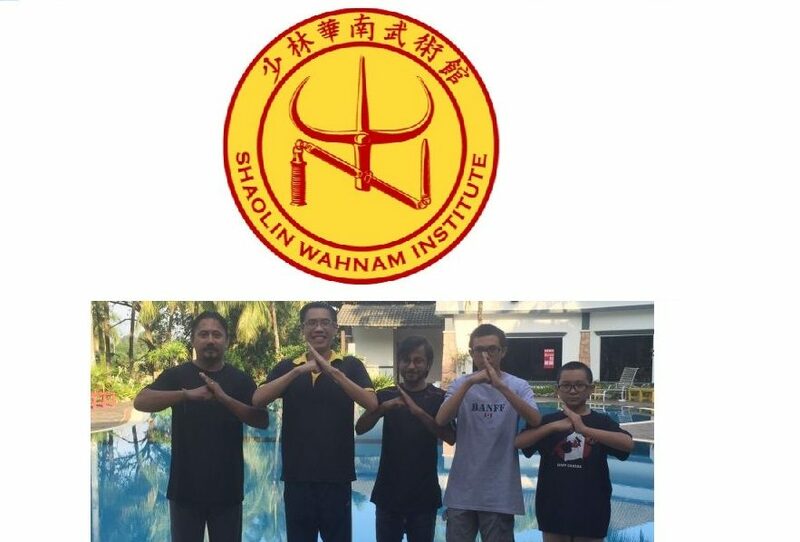 We do not mean to be presumptuous, but it is good for you and others of our Shaolin Wahnam Family to know that what you and many of our students can achieve in one year what past masters would take at least 10, but more probably 20! I myself took more than 20 years of training before I could achieved what you described below, and I was very lucky, I learned from some of the best teachers in the world. Not many past masters had my opportunity. My mentioning of this fact is not to glamorize our school, but to remind you and others not to over-train. 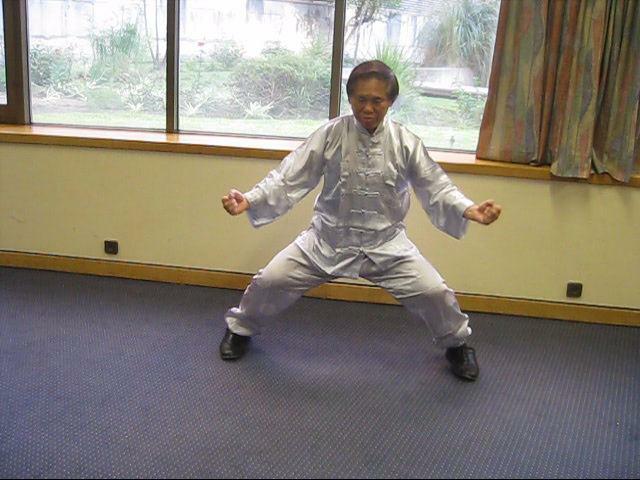 Over-training has become an issue with our diligent students in both chi kung and kungfu. You should avoid their mistake. All the force training I know seems to be almost too powerful now that I’ve been training for some time. I am immensely looking forward to taking all the courses at the UK Summer Camp! Looking forward even more to attending an intensive kung fu course and consolidating all my Sifu has taught me. It is important to differentiate my courses, both regional and intensive, from the regular classes taught by your sifu and other Shaolin Wahnam instructors. My courses, including regional ones, are intensive. 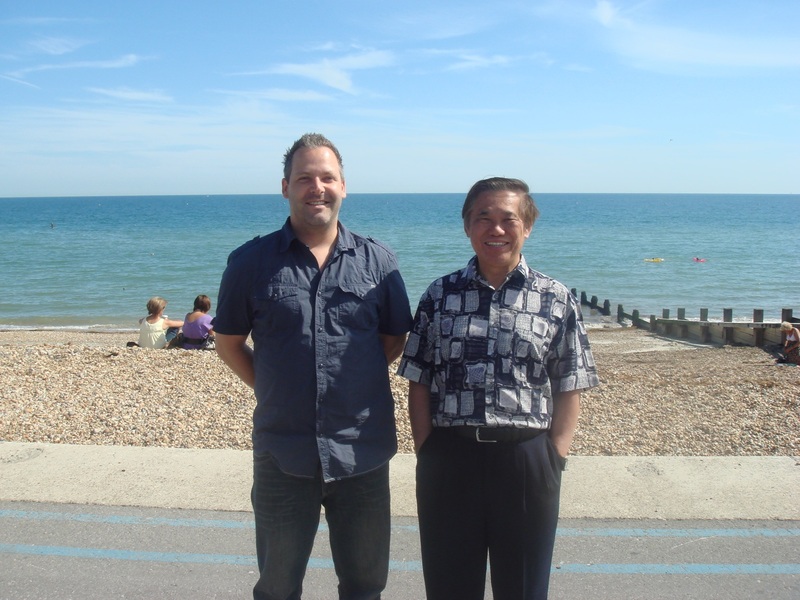 My intensive courses in Malaysia are very intensive. Course participants learn in a few days whet they would learn in a year or more in regular classes. Most other students in other schools will never learn what our students will learn, no matter for how long they may train. They may be angry reading this; that is their problem and their business. Frankly, I don’t want to waste my time on them. What I write here is for our students. It is useful for our students to know the difference between what we practice in our school, and what most other people practice in other schools. I always justify my statements. What do participants in my courses and students taught by our instructors in regular classes learn in a few days or a year that most other people may not learn even when they have trained for many years? Let us leave aside details like ensuring safety first and rotating the waist, and focus on main points. How many kungfu practitioners today have internal force and are able to apply their kungfu techniques for combat after having trained for 20 years? It is indeed shocking how much kungfu has degraded. Why don’t our instructors teach in a few days instead of spreading the instructional material over a year? It is for our students’ benefit. Students need time to develop the appropriate skills, which will not only improve their kungfu but also enrich their daily life. The students also need time to adjust themselves to the new levels of energy, otherwise they will over-train with adverse results. Then, why do I teach a year’s material in a few days? It is also for the students’ benefit. For obvious reasons, it is not feasible for students to learn from me over a year like in a regular class. So I condense the material into a few days so that more deserving students all over the world can benefit. 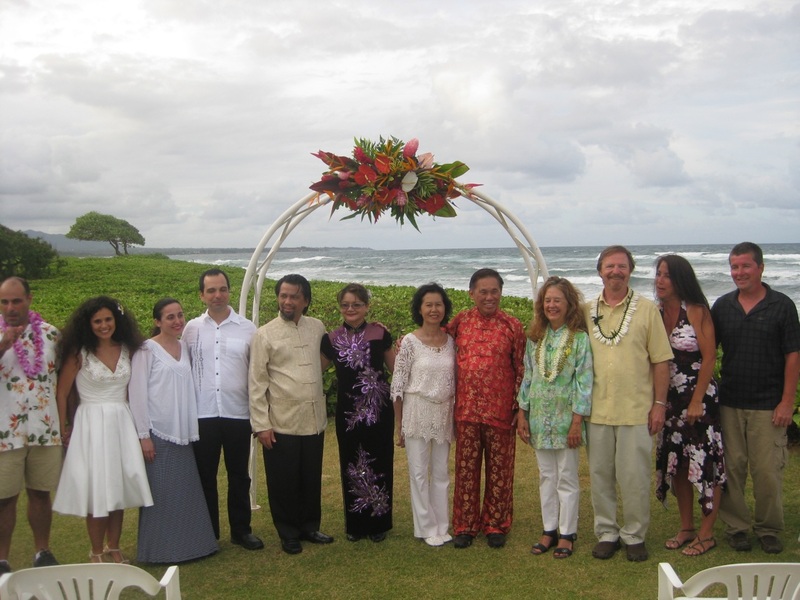 My courses and the regular classes taught by our instructors complement each other. The focus of my course is to learn. 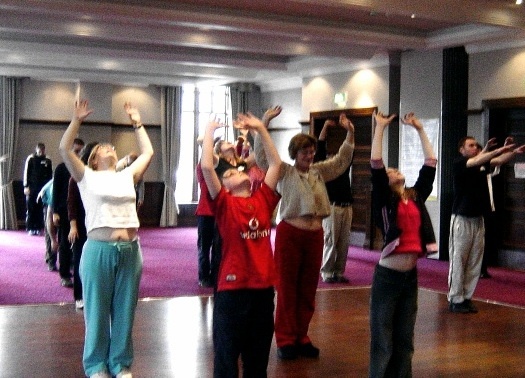 The focus of the regular classes is to practice. Learning constitutes only 5% of practical success; the remaining 95% is practice. Students in our school are indeed lucky to have these two learning opportunities that complement each other. The Intensive Shaolin Kungfu Course is unbelievable. It covers material ranging from beginners’ to masters’ level. You will learn all that you need to become a genuine master. The main reason I am emailing you is to ask for advice in two matters. Firstly it is somewhat odd but my situation started after practice a few months ago when I was walking around and then relaxing. I started having visions. The earliest one began with me as a very young boy except it wasn’t me as I am now, I was learning a Tiger Kungfu similar to my experience in Post 20 in my training journal. 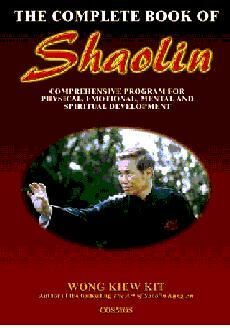 I recall vague images of some brutal training as well as pleasant chi kung and meditation in a beautiful garden. Then some time later I started getting images of wandering the streets, stumbling around and getting into many fights as well as demonstrating kung fu, and receiving a few coins for food and drink. These visions got more and more vivid as time went by. The most vivid one to date was a couple of months ago. I think I was walking down a narrow street and got jumped by many men. They were screaming at me, I couldn’t understand them. I think it was Cantonese but I don’t speak the language. They attacked me and I defeated them. But one of them managed to cut me with a knife. When I came back to my awareness I was sweaty, and my breath was deeper like I just got done fighting for real. I was also bleeding a little bit where I got cut in the vision. This was the last vision I had. I don’t know if another will come. It was probable that you relived your past life when you were a skillful kungfu exponent. Just enjoy the visions like you enjoy a movie, but don’t be attached to them. Experiences in past lives were imprinted into one’s consciousness, but these imprints are not normally accessible to the person in his current life. However, some training, like high-level chi kung and meditation, can erase defilement that blocked these imprints and allow them to surface. Yours appear to be the case. Similarly a couple of months ago I started having very interesting chi flows. I’ve had chi flows that resembled kungfu in the past but nothing like this. I feel so incredible during these flows. It feels like Drunken Eight Immortals but a lot more straight forward and “hung gar-like.” I can feel my spirit and chi expanding and spinning during transitions, contracting and coiling, and exploding straight out again in focused ways with great force. It is these expansions, contractions, and explosions that seem to cause my body to move in very drunken ways. It is my first time experiencing chi flows at such a deep level like this. Could you give me any advice on how to deal with these emerging memories and “drunken” kung fu flows? Enjoy the experience, but do not be attached to them. In other words, when they occur, fine. You can learn a lot and benefit from the experiences. If they don’t occur, fine too. Don’t crave for them. Many students in our schools have similar experiences, and have enjoyed and benefited from them. There experiences are odd to most other people, especially in Western societies. Some may even think you have gone crazy. But these experiences are not uncommon in our school. There are two explanations for these interesting experiences. As explained above, chi kung training has erased some defilements allowing some past life memories to surface. The second explanation is that your own training of internal force has enabled you to progress to this high level. It does not matter which explanation is the actual reason, though I think the first one is more likely. As an analogy, when you go to your bank and key in the right particulars on a teller machine, cash will flow out — provided you have the cash in the bank, just as provide you had the past-life experiences or the necessary high-level internal force training. It does not matter whether it was an officer-in-charge or the bank manager himself who first put the money in the teller machine. In both cases, just enjoy the benefits. The second thing I want to ask you about is the 12 Bridges. They have been manifesting in my practice in interesting ways. Since this flash of insight I’ve managed to have 7 bridges manifest spontaneously in my strikes — Lifting, Circulate, Soft, Hard, Straight, Inch, and Press. This is an expected result of your diligent training. All the 12 bridges may be combined into an “ultimate strike” or used separately, depending on the situations. We are the master of the 12 bridges, and we decide how and when to use them. We should not be a slave to rigid theories. Your manifesting 7 bridges in your strikes is very good. Carry on. 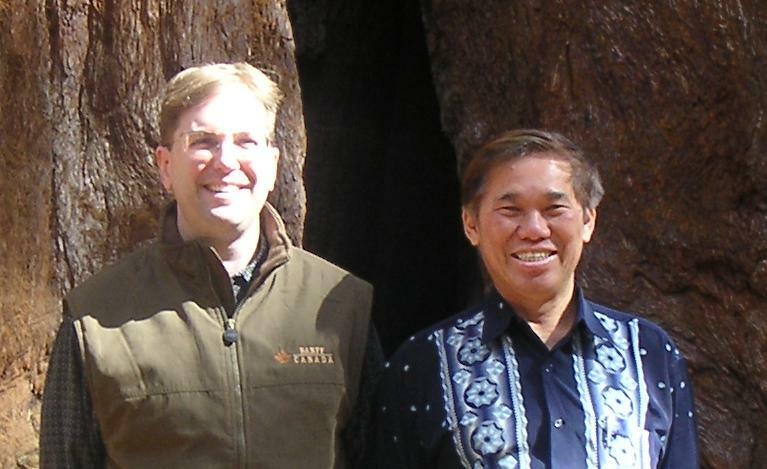 Editorial Note: David’s questions will be continued at March 2015 Part 2 issue of the Question-Answer Series. 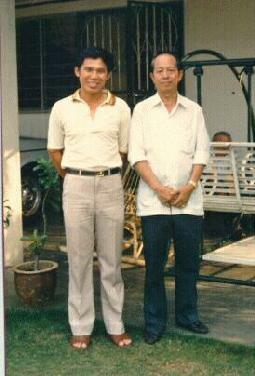 About 15 years ago some chi kung practitioners opened my chi points. I have been experiencing jing being converted to chi and then to shen. This is a wonderful but powerful feeling, which has made me feel and look younger. Jing being converted to chi and chi being converted to shen are descriptions of two important stages of energy transformation in everyday life or in chi kung training. It may occur naturally at basic levels or through advanced training at masters’ levels. Jing being converted to chi, or substance being converted to energy, happens to every person in everyday life. It describes, for example, that the food a person eats is converted to vital energy that maintains life. Chi being converted to shen, or energy being converted to spirit, is also present in everyday, irrespective of whether a person practices chi kung. It describes, for example, that when a person is full of energy, his spirit is u;lifted. At an advanced level of internal art training, jing being converted to chi may describe some specialized training where a practitioner develops a lot of internal force. Where does the internal force come from? In modern scientific terms, the practitioner breaks down his subatomic particle to release energy. This modern explanation is from me. The practitioner may not know the scientific operation behind his training. He just trains according to the method taught by his master. 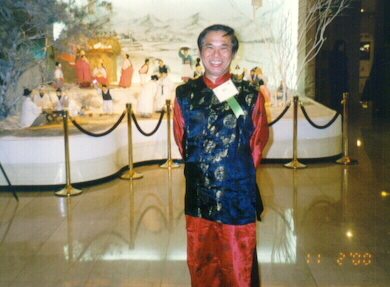 Past masters described this process as jing being converted to chi. As I have the benefit of both Eastern and Western education, I am able to explain the Eastern concept using Western terms. Chi being converted to shen describes another advanced state of training where a practitioner’s energy is converted to spirit. In some of my advanced courses, like Cosmic Breathing and Merging with the Cosmos, many practitioners had this experience. They generated a lot of energy, which greatly strengthened and enriched their spirit to expand beyond their physical body, resulting in a spiritual awakening. Understandably other people may not believe this happened. But to the practitioners who had direct experience there was no doubt that this happened. More significantly, it was life-changing. If it happened to one or two practitioners in a class of thirty once in a blue moon, critics may say it was their illusion. But if this happened to more than half the practitioners in every class of Cosmic Breathing and Merging with the Cosmos, critics were just stubborn to not accept facts right before their eyes. Sometimes I have to slow down or stop everything when this occurs at certain times of the day. My body mass and muscle have consequently reduced significantly much to my disliking. I do not know whether this may be due to ageing, I am 45, but I am only a fraction of the size I used to be. I have also lost weight. Can I increase my body mass and muscles to my former self? Should I try to oppose the conversion of my jing into chi? Your shrinking in size and weight is a serious problem. Either those chi kung practitioners who opened your energy points had done something wrong, or you practiced wrongly. 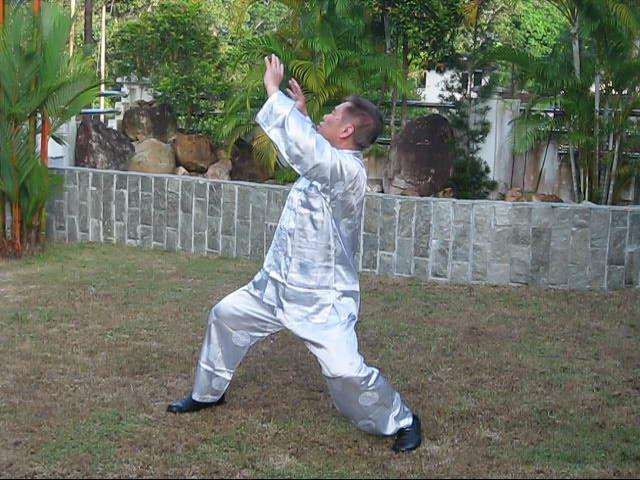 Irrespective of whether jing being converted to chi, and chi being converted to shen occurred at the basic level of everyday life or at the masters’ level of advanced training, the conversion should not result in a practitioner shrinking in size and weight. It should contribute to his health and vitality. Of course, you can increase you body mass and muscles to your former self. But you should not do it yourself. You don’t have the knowledge and skills. You should consult a qualified chi kung healer. If you seek treatment at the Holistic Health Cultivation Centre, your recovery is guaranteed. 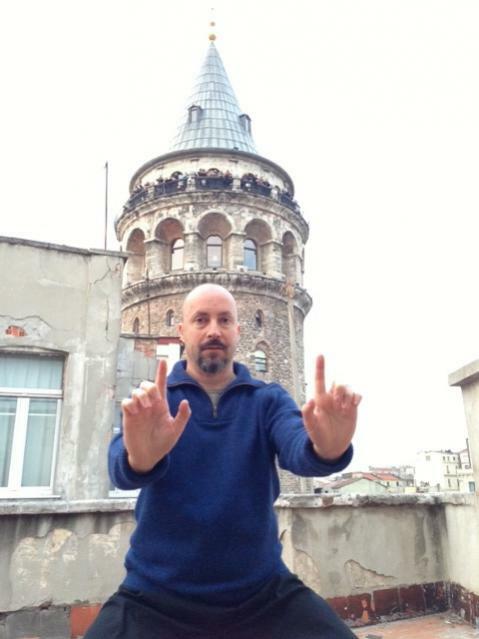 What can I do to improve the results of my chi kung practice? Contrary to what is practiced in other schools, in our school you don’t have to try to improve your results! In fact we would ask you not to aim at getting the best results when you practice at home. You would have done very well when you practice at home on your own to get only 30% of what you get here in a regional course. This is indeed very odd, and I need to explain further. 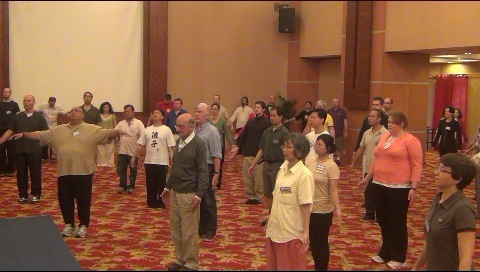 In this course not only we practice high-level chi kung, we are very cost-effective. You gain in one day what other students may not gain in one month. The benefit is very powerful. This is alright if it happens once a while, like when you attend a course. But if you get powerful benefit like this every day, it will be over-training. So, at home when you practice on your own, if your daily result is only a portion of what you get here, like about 30%, that is fine. Your attitude for your daily practice is not that you must get the best of your practice, but to enjoy your practice. This entry was posted in aims and objectives, chi flow, Chi Kung, Grandmaster Wong Kiew Kit, internal force, Kung Fu, over-training, question-answer, Shaolin, Shaolin Wahnam and tagged aims and objectives, chi flow, chi kung, force training, Grandmaster Wong Kiew Kit, internal force, Kung Fu, over-training, Qigong, QUESTIONANSWERS, Shaolin, Shaolin Wahnam on January 16, 2016 by Wei Joo Lee.